The Ford Taurus has a long and storied history--some of us may even have childhood memories of riding in one or had it as our first vehicle. But just because it has a history doesn't count the Taurus out. In fact, the new 2018 Ford Taurus is just as good--if not better--than it's ever been. Large cars aren't for everyone. They're not zippy and don't corner like a subcompact. What they do well is cruise, nice and quiet. The Ford Taurus has been around for quite some time, now in its sixth generation, and that's a testament to all the things the Taurus has gotten right. Despite being a car almost as long as some SUVs, the Taurus doesn't seem so big. That's thanks to a shorn-off nose and sleek lines. But step inside and you'll notice all that room. The Taurus comfortably seats five people in a plush interior. Settle in and find a quiet leaf-strewn highway and you'll be singing its praises. But get this much right: the Ford Taurus is no cream puff. Under the hood lies a thrumming 288-horsepower V6 engine, more than enough to get the Taurus moving. And while the Taurus is no hotrod and some complain about its six-speed transmission, this Ford car can still book it when needed. The seventeen-footer can muster surprising speed, going from zero to 60 in just 5.2 seconds. Try that in most SUVs and you'll be left in the dust. You'll never feel panicky in the merge lane or outpaced in the passing lane. 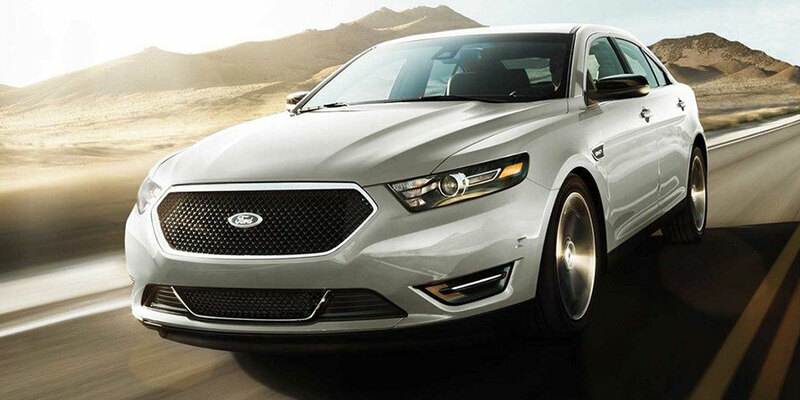 Thanks to fine-tuned suspension and a tight turn radius, the Ford Taurus also feels at home downtown. This sedan handles better than most models this size. There's also steering-wheel mounted paddle-shifters on all trim levels, in case you ever feel like you want to try your hand at driving your Taurus like a racecar (watch your speed!). Speaking of which, sporty enthusiasts should check out the other engine option: a 3.5-liter twin-turbocharged V6 that produces an insane 365 horsepower and 350 pounds per foot of torque. The 2018 Ford Taurus starts for just $27,700. That's a heck of a low price and a great value. But we prefer something more than the base model. Luckily, you have three more trim levels to choose from: SEL, Limited, and SHO. For just $2,700 more, you can get the SEL trim, which adds satellite radio, dual-zone automatic climate control, and rear parking sensors, along with optional leather upholstery, moonroof, and SYNC 3 infotainment system All-wheel drive is also available for $1,850. 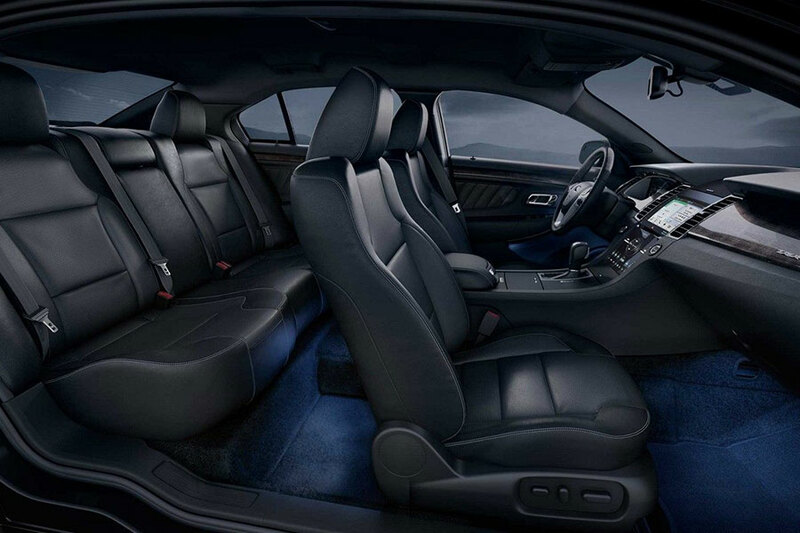 Premium luxury comes in the Taurus Limited. Starting at $37,200, it comes standard with leather seats, heated and cooled front seats, heated rear seats, heated steering wheel, 12-speaker audio system, rain-sensing windshield wipers, blind spot monitoring, and SYNC 3 infotainment system. The infotainment is intuitive and fast. The overall luxury is to die for. We think you'll be impressed with the 2018 Ford Taurus, but there's only one way to truly find out. Come drive one at Signature Auto Group today!